I make a point not to think more than six months in advance. Usually, not more than a few days. This, of course, means making plans with me is a nightmare. I don’t always know what I want in the present moment, so how can I know what future-me wants and needs? It could change any second. The future is always in flux. Looking at the full spread of cards, the psychic tells me that the past two years have been a transition period in my life. Maybe this is a Sagittarius thing. According to astrology, my birthday dictates what I do, at least to some degree. Astrology has been used as a method of divination for centuries. Based on when and where you were born, it provides the tools to assess your personality, relationships, and how lucky you are. There are 12 signs, and every person has a sign for each celestial aspect in the sky on their birthday. For instance, the moon was in Aquarius when I was born. This placement allegedly explains my habits of emotional detachment, and my interest in alien conspiracy theories. But understanding my birth chart leaves me wondering: Is the future fixed? This thought sends me on another journey into the unknown and unseen. I’ve read stories about fortune tellers and blind seers. How do they access the future amid all this uncertainty? Crystals in hand, I seek out the skill of knowing without observing — the sixth sense. The psychics I talk to call it intuition. To start, I contact Melissa Peil, a Boston area psychic who compares her abilities to a GPS. A proliferation of paths make themselves visible, and she serves as a guide, informing clients of what may lie ahead. The future is unstable, and as all the psychics I talked to in the past couple weeks stressed, there is no fixed timeline. Free will is at the center of divination. Despite the somewhat hazy possibilities for psychic reading results, there is one inevitability: mortality. In that sense, there is a predetermined timeline. Life, Melissa tells me, is like a game of Candy Land, and every person eventually reaches the castle — we just arrive with varied sets of experiences. I learn from psychic reader MaryLee Trettenero of Boston Intuitive that natural talents or predispositions are factors that can adjust the way the cards are dealt. Still, it all comes down to choices. This is where tarot comes in. MaryLee refers to it as an act of problem solving. 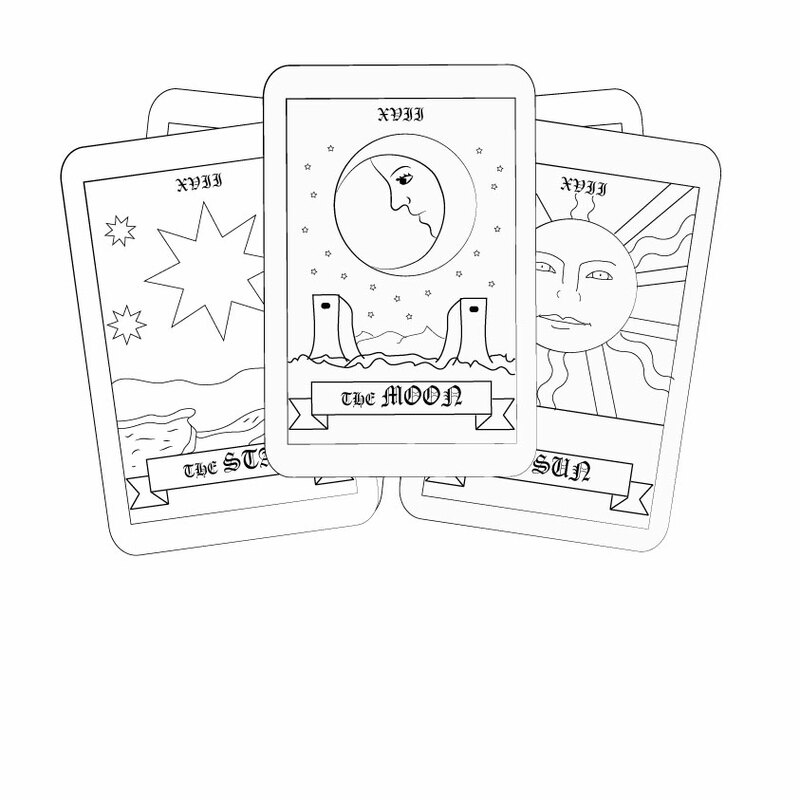 Tarot readings use symbolic cards to elucidate different forces in an individual’s life that can then guide decision-making. MaryLee gifted me a deck — an auspicious kindness, because it’s apparently unwise to buy your own. I now have the physical tools, but do I have the perceptive abilities to look into the future? Is my mind ready? This “studying” entails reading books, opening yourself to information, and understanding your own mind. The psychics I talk to tell me that I must acquire a robust collection of metaphysical books — that is, actual, physical books about things that are non-physical. Future-telling has a rich tradition, and it’s important to be familiar with spiritual symbols and rituals. But to put these traditions into practice, you have to prepare your mind. MaryLee stresses the importance of meditation, which allows you to be a “blank screen” for spiritual information. She also emphasizes that journaling and focusing more broadly on mental health can bring you in tune with your own spiritual symbols. This practice of self-awareness prepares you to receive spiritual information from others, like a sort of spiritual osmosis. The final step in honing my intuition is attention to detail. Opening my everyday awareness should strengthen my extrasensory perceptive abilities. The whole process requires curiosity, mistakes, and vulnerability. I’m pretty good at the first two. Vulnerability has never been my strong point. But what does spiritual knowledge look like? Is it like a movie playing in your head? Is it a voice that whispers answers in your ear? Melissa tells me it can manifest like all five senses. There’s clairvoyance, when psychics have visions of the future, but there’s also clairaudience, which manifests like sound, along with other sense analogs. Or it can manifest like pure knowing. Pure knowing, however, doesn’t come with a perceptive component. It’s intuition in its simplest form. You just know. For me, in my messy beta test phase of intuition, psychic knowledge pops up like thoughts. I’ll think of a person, and seconds later, they will emerge from the next room. I can anticipate the next song in the shuffle with ease. Last weekend, I met someone at a party and knew which house she was in before she told me. Maybe there is a more quantitative way we can access the future. Supercomputers have been simulating physical reactions for years, modeling weather patterns and testing parts of nuclear weapons. Quantum computers take this real world modeling to a new level. Instead of ones and zeros, they use qubits, which carry quantum information. Using microwave pulses to manipulate the quantum states of the qubits, the computer opens doors that the binary world of classical computers can’t. With the quantum law of superposition, a qubit can act like a one and a zero at the same time. Holding multiple states in one qubit doesn’t sound too different from the GPS-like path model Melissa described to me. With intuition, every omen points to more than one possible outcome. Could it be possible for a system of intuitive signals to make up some metaphysical realm of pure possibility, almost-existing? I travel to Quincy, Mass. to visit the Regina Russell Tea Room at MaryLee’s recommendation. From a menu of tea leaves, birth charts and aura readings, I select the tarot and crystal ball combination reading. I’ve had my palm read a few times before, but I’ve never experienced a professional psychic reading like those the Tea Room is known for. We step into a small, curtained reading room. I say my name and birthday, touching the cards and crystal ball to give them my energy. Looking at the full spread of cards, the psychic tells me that the past two years have been a transition period in my life. I learn that a spirit has been watching over me, and that I am going to spend some time overseas. I had been planning to be in Chicago for the summer, but now, who knows? —Magazine writer Sophia M. Higgins can be reached at sophia.higgins@thecrimson.com. Follow her on Twitter at @LAVAGXRL666. This is the second installment of her column, Further Realms, which will explore rituals that uncover hidden worlds.